If content is King then backlink surely is queen. I’m saying this, because it has seen that blogs with low quality contents often rank on Google than blogs with awesome content, thanks to backlinks. 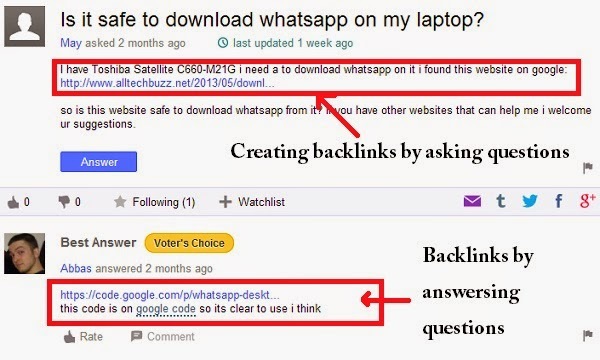 Backlinks are important factors for SERP’s. Quality backlinks towards your blog can bring lots of free organic traffic from Google and other search engines. By times now, you must have understood the value of backlinks. 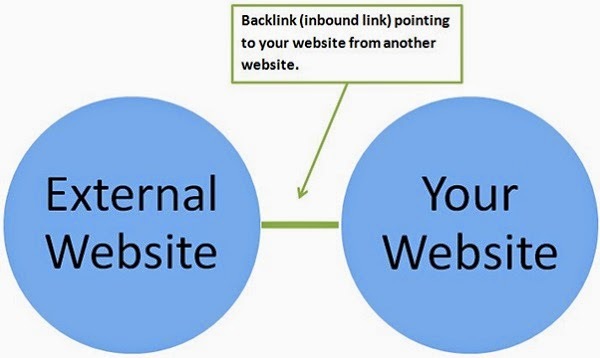 But, before we further proceed, let’s understand for those who don’t know what is backlink, no-follow link and do-follow link. Backlinks: These are the links on someone website/blog pointing towards your own blog. When Google finds your blog url on someone website/blog, it gives you some link juice as a result your blog gets free traffic. But all backlinks don’t carry link juice. Read on below to understand. Do follow: These are the links which carry link juice. No follow: These are the links which don’t carry link juice. However, No follow links are also good if you are getting them from high PR (Page rank) websites or from a reputable website. How to know whether a backlink is a dofollow or nofollow? The simplest method to know this is to download this Firefox add-on, NoDoFollow. After installing this add-on, go to any webpage, right click and then click on No-follow. The red colour links are nofollow and the blue colour links are dofollow. If you are a chrome user, then use SEOquake inspector for the same purpose. This is my favorite method to get backlinks because when you do guest blogging, you not only just get backlinks but you make a relation with fellow bloggers and you also get exposed to a new and larger audience. It is a good practice if you blog on a similar niche blog as yours. You can easily get from 1 to 3 backlinks to your blog, in your author bio or in the content itself. Submit a guest post on our site..! You can easily create backlinks from social media sites such as Facebook, Twitter etc. However, these links are no-follow, but it’s better to have a no-follow link than nothing. Fortunately, not all social sites provide no-follow backlinks, there are some sites which will give a do follow backlink to your blog. Linkedin, Google + and Tumblr are among those sites. Backlinks from these sites won’t increase your traffic largely but these links will give your blog an authority which is good to your blog. This another yet simple method to get backlinks for your blog. When you bookmark your own blog on these sites you get backlinks in return. To be honest, these backlinks generally are not of high quality. However, there are some bookmarking sites which have more authority than others. Note: While bookmarking your own page, do not go overboard, as your link building process should be natural. It looks very unnatural for a page to go from having 0 bookmarks one day to having 10 bookmarks the next, isn’t it? I’d recommend you do not bookmark the same page more than twice the same day. Apart from this, don’t just bookmark your own content on these social bookmarking sites otherwise they will ban you. To not get in this situation, also bookmark others content to look natural. 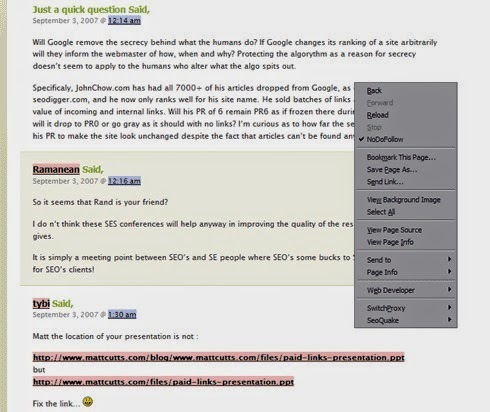 Commenting on others blog can easily get you lots of backlinks. But most of the blogs give no-follow backlinks when you comment on them. To check whether a website has do-follow comment system or not, use the above mentioned add-on. I’d suggest you to comment on 7 no-follow blogs and 3 do-follow blogs, means it should be in 7:3. This method ensures that your link building process is gradual and natural. To find out do-follow blogs of your same niche, you can take help of Google. You can also install commentluv plugin for blog commenting if you wish. This is a very old technique of creating backlinks. These days this is considered as spam by google. Dont over do it. Just choose some good directories and build links. If you over do it then you will be penalized for sure. Below I listed some best auto approval directories. This is a give and take method. Here, you will have to sort out people’s problem about which you have knowledge and in return you will be able to get backlinks from these high PR sites. To get backlinks from these sites, firstly, make an account on the following websites. Now, start commenting on the posts about which you have knowledge. When you reach on a certain level or point table, you will be able to leave a link in your comment pointing towards your own blog. Note: When you leave a link of your blog on these forum posts, it must be relevant to the post and sort out the problem of the visitors who clicks on those links.